Oz Griebel addressing the Independent Party caucus on Sunday. It cross-endorsed Bob Stefanowski. Oz Griebel, a former Republican running for governor with a former Democrat, Monte Frank, as his running mate, qualified for the ballot Tuesday, the secretary of the state’s office said. He joins Democrat Ned Lamont and Republican Bob Stefanowski. The secretary of the state’s office announced Tuesday evening that the Griebel-Frank ticket has submitted more than the 7,500 signatures necessary to qualify for the ballot as petitioning candidates. 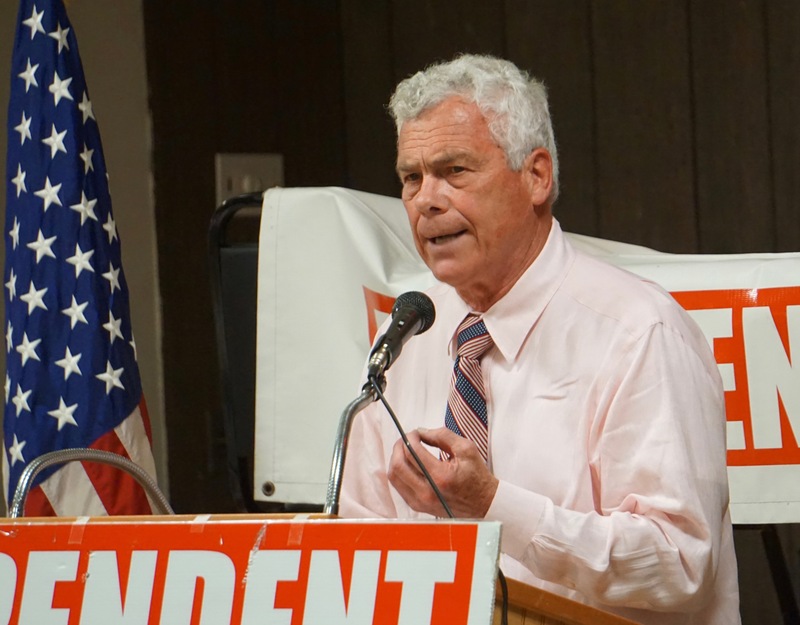 Griebel had sought the endorsement of the Independent Party on Sunday, but the group instead cross-endorsed Stefanowski. There will be at least five names on the gubernatorial ballot: Griebel will appear once and Stefanowski and Lamont twice. The Democrat has been cross-endorsed by the Working Families Party. Rod Hanscomb of the Libertarian Party and Mark Stewart Greenstein also have petitioned for a place on the ballot. Griebel is trying to do what no one in Connecticut has done since 1990: Win a gubernatorial election without the backing of a major party. And the last one to succeed, Lowell P. Weicker Jr., began his effort with universal name recognition as former U.S. senator. A recent Quinnipiac University poll had Griebel as the choice of four percent of Connecticut voters. Those five debates will be held on Sept. 12, 17 and 26 and Oct. 18 and 30.